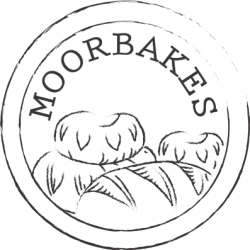 It takes the best part of a day to make the Moorbakes sourdough bread, so I thought I’d put together a page on how it’s is made…. 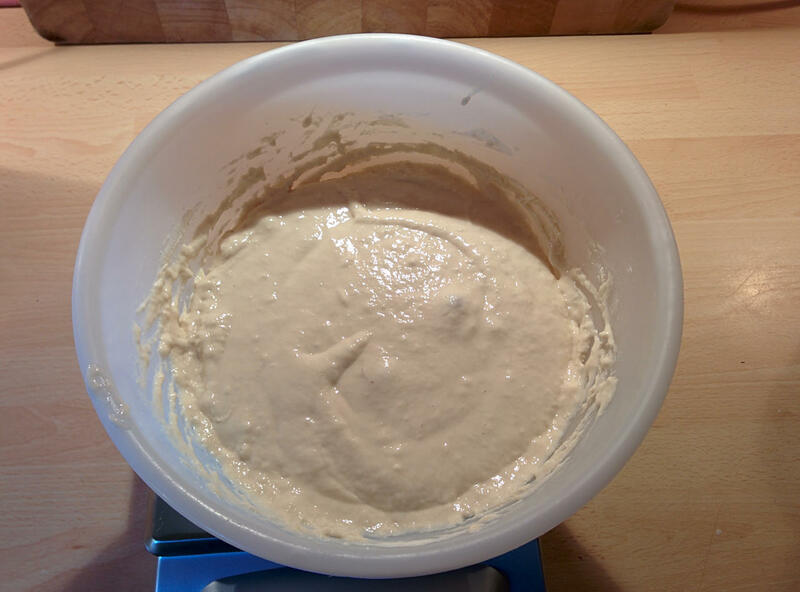 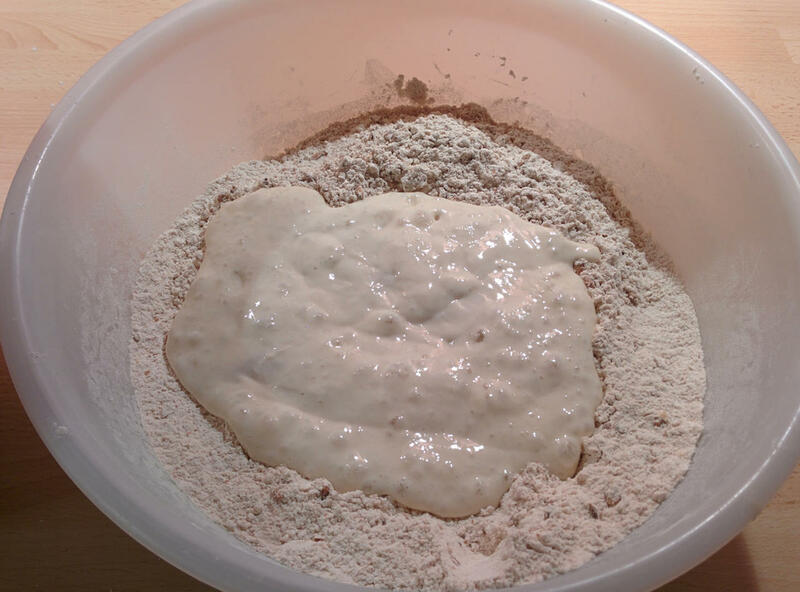 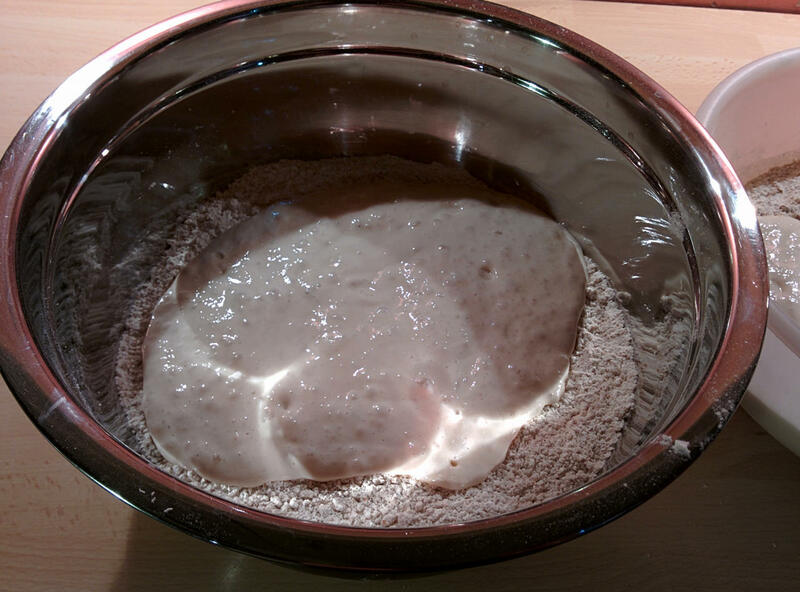 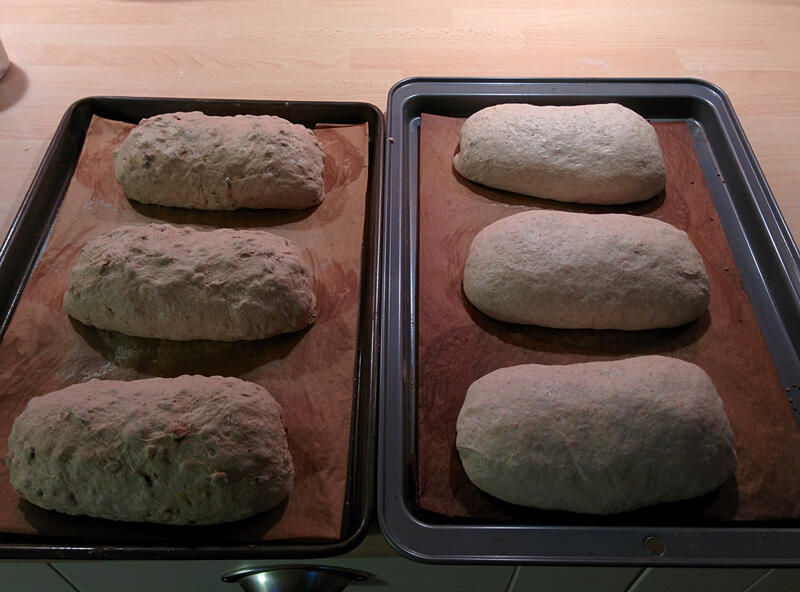 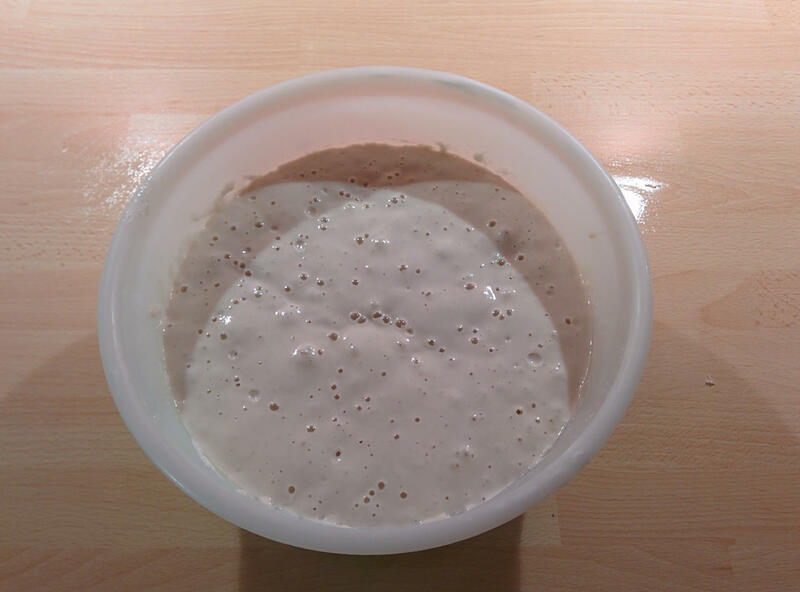 So I start at about lunchtime and need to work out what I’m going to be baking for tomorrow… Sourdough isn’t something you can make at a moments notice – this is a 20 hour process! 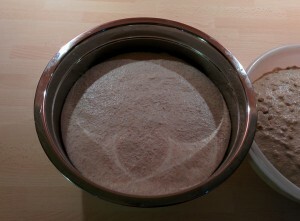 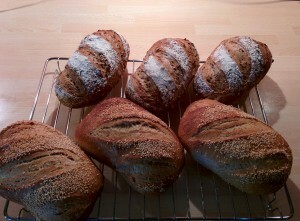 So for tomorrow I’ll be making 3 small Maltsters and 3 small Devon Rustics. 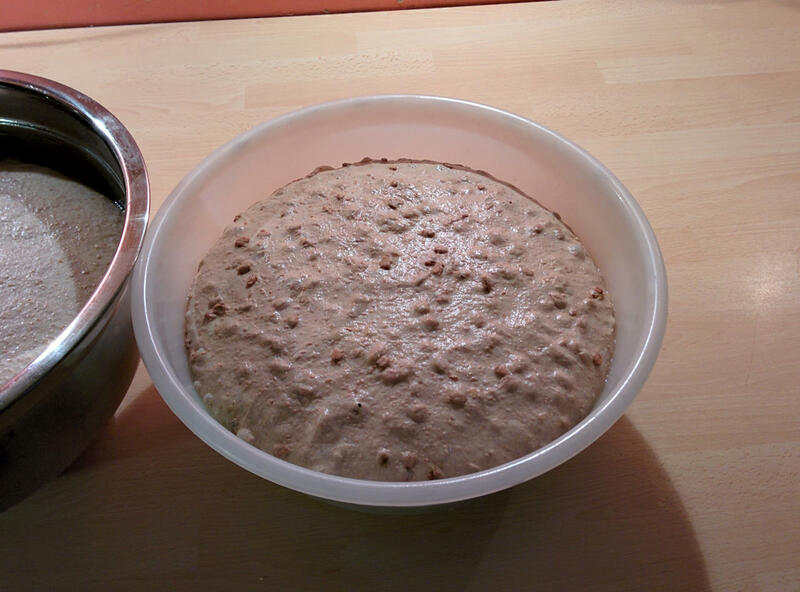 Fortunately these both use the same starter (white wheat) so I only need to make up one lot of levain. 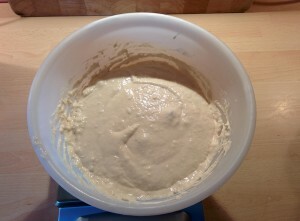 If I was only making 2 large or 3 small loaves, I could skip this step and take 320g of the mother and use it directly, however it’s impractical to keep much more than that mother in the fridge, so this two-stage process works well and it very easy to scale up if I were making 2 or 4 times the amount of bread I’m making here. That only took a few minutes, but it’s the start of the (almost) day-long process. 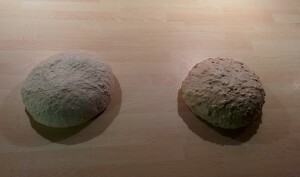 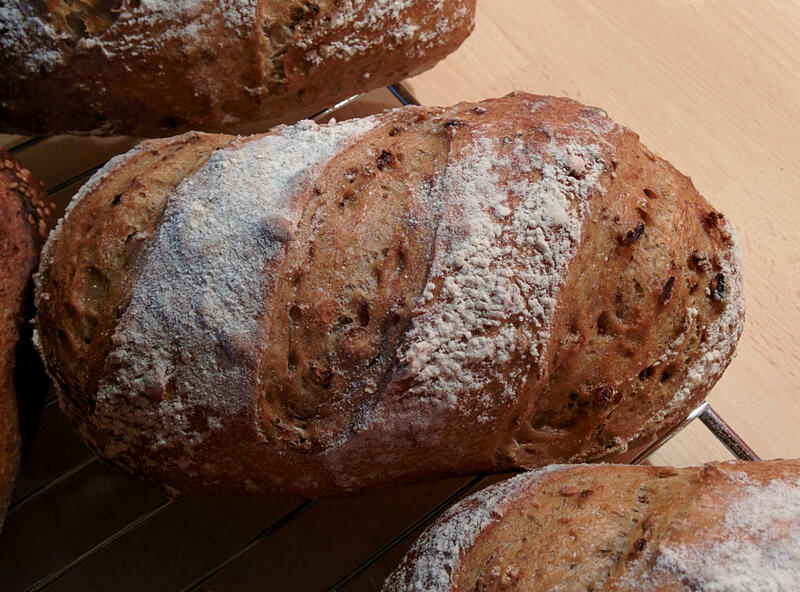 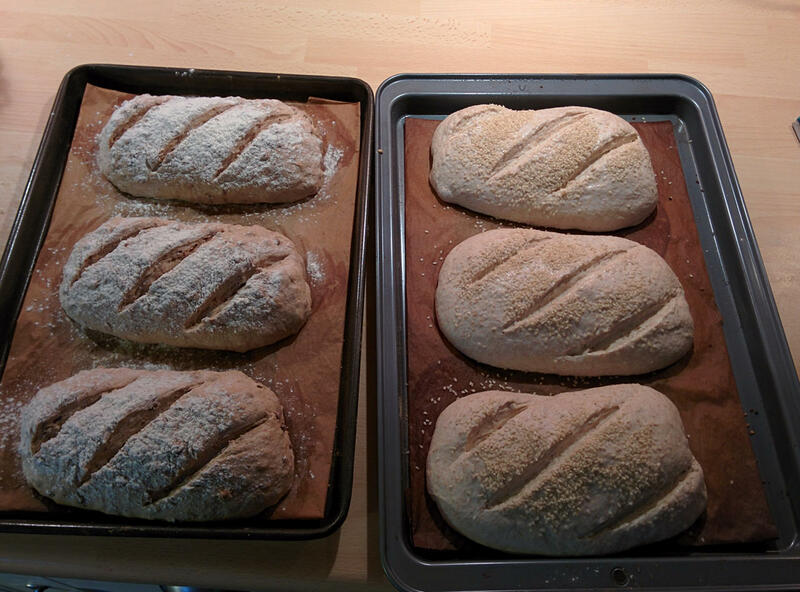 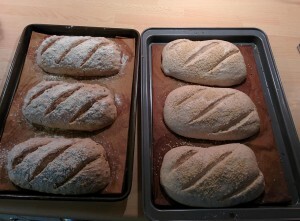 This is split between 2 bowls – one has the white + wholemeal mix for my Devon Rustic loaves and one has the Shipton Mill 3-Malts and sunflower seeds mix for the Maltsters. 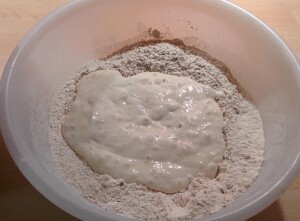 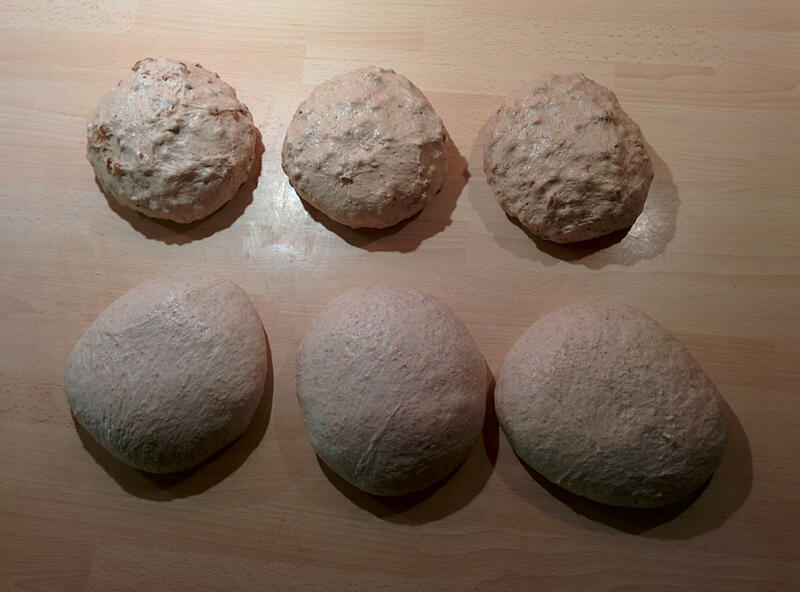 After kneading, a little bit of vegetable oil is rubbed round the bowls and the dough is transferred back into them and covered and left to rise overnight. They’re going to get about 9 hours rising time! 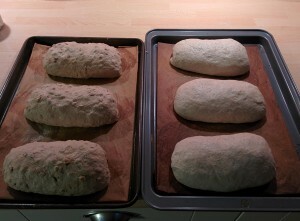 When they’re ready – usually after 45 minutes to an hour, it’s time to get them ready for the oven. 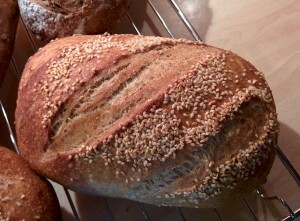 The maltsters get a dusting of flour and 3 cuts, the Devon Rustics get sesame seeds and 3 cuts too. 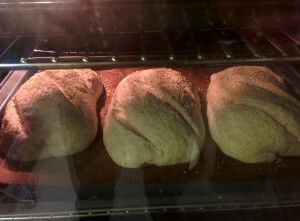 The loaves get a roasting at about 240°C for 11 minutes with a good slug on water in a tray at the bottom to create some steam, then the oven is turned down to about 210°C for a further 21 minutes before they’re checked for readiness and removed to cool. 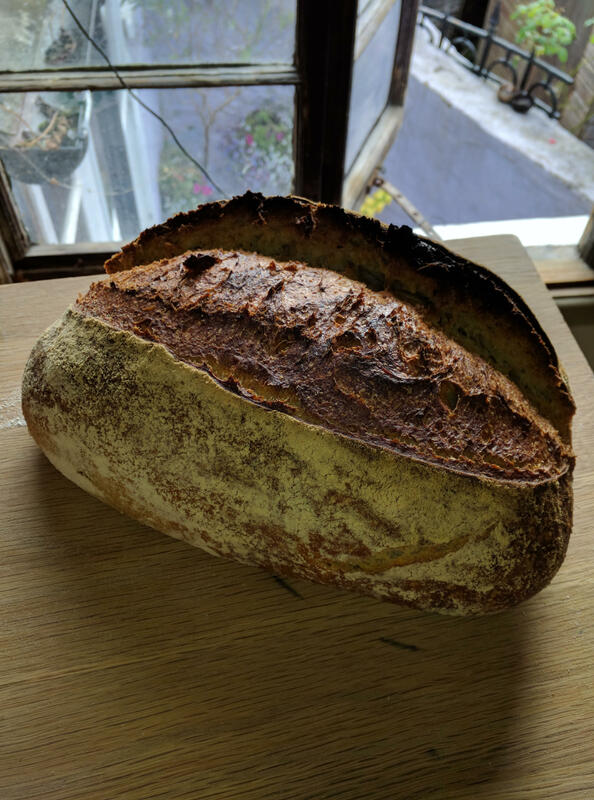 After that, they’re bagged and labelled and take up to the shop where they’re sold and hopefully enjoyed by happy customers!